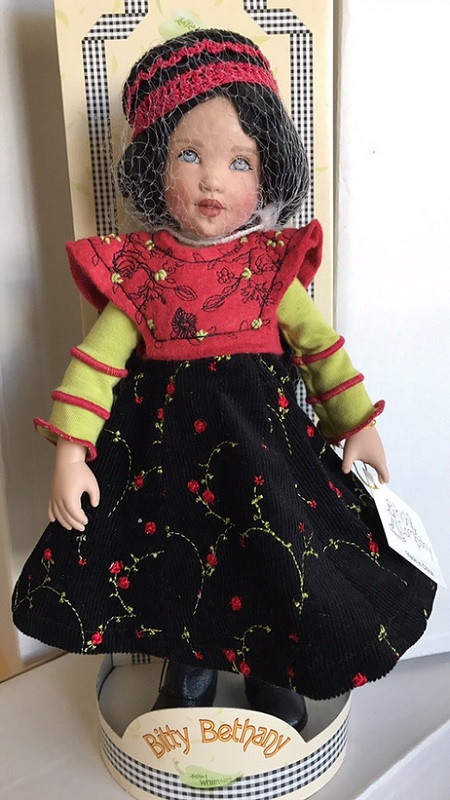 "Bitty Brynne" is an 11" vinyl doll with jointing at neck, hips and shoulders. She has painted blue eyes, impish dimples and wavy, black, waist-length.hair. She's wearing a jumper featuring a black corduroy skirt embroidered with roses and an attached rose colored top with roses embroidered in black thread over a greened tee with rose colored accents and ruffled sleeves. 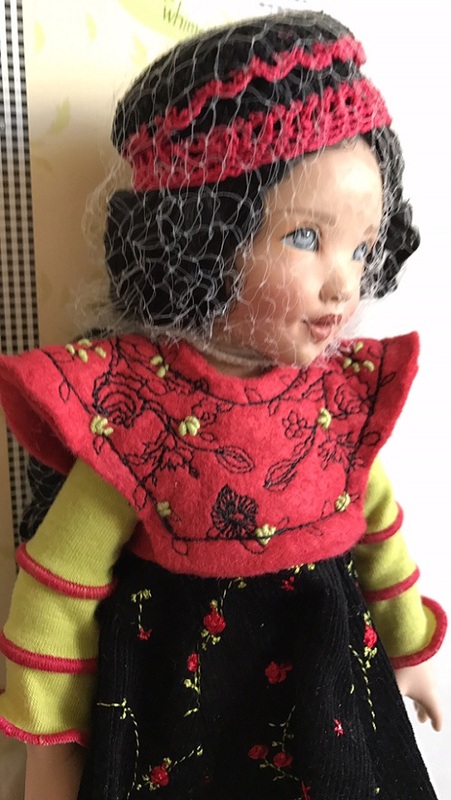 She's accessorized with a hand-crocheted black hat with rose colored edging, black tights and black faux leather boots that lace up in the back. 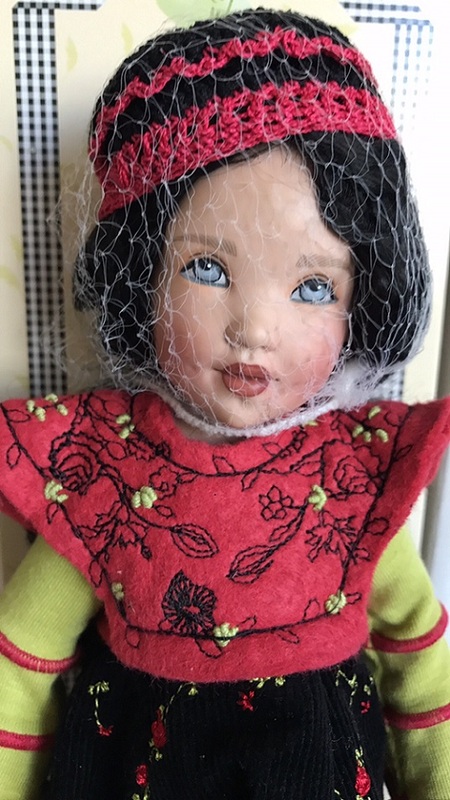 She has only been removed from her clear plastic tubing to be photographed (it caused light reflections on her face) but was left attached to cardboard insert with hair net untouched. Includes COA and shipper.